I was disappointed that there was not more David Bowie music in this movie. When you see the preview David Bowie is clearly playing a huge role so to find yourself David Bowie-less was a bit of a blow. Especially since when I was getting Dan pysched to see this I said several times in a weird voice : "David Boweeeeee"
Every time you find yourself thinking that you know what kind of movie your watching or what Different Strokes moment is coming... this movie says "shut up" like some disgusted valley grrrl. This sound unpleasant but it was actually strangely refreshing. Charlize Theron is just brilliant at being uncomfortably crazy. I feel I may have said to much. I hope that was helpful without giving to much away. We are currently working away on our book and with Christmas and all that... I admit we've kinda fallen off the blogging wagon. That's not to say I don't write blogs in my head everyday. I just find myself typing them up into sections for the book. 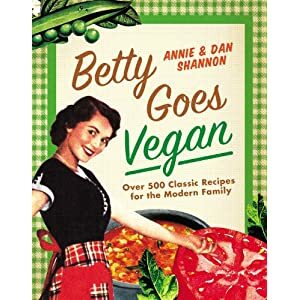 I want to thank everyone who has answered my little surveys and given me feedback to help me choose the recipes and write the sections for the book. I can't promise everything will make it in but I am doing my best but we're already including 500 recipes so there is only so much room. I guess that's what this blog is for. I've also been really busy figuring out our new camera and working on some new exciting things for the blog for 2012... Spoiler Alert: We're giving away a bunch of stuff. I feel like Oprah whenever we have a contest. Which reminds me - time is running out to enter our VegNews contest! It takes like a minute to have a whole year of happiness! So don't lollygag. Hope you got everything you wanted this year! Please enjoy some of the weirdest David Bowie ever! I should probably get back to being a Shannon. It is Christmas after all. *What? Sometimes I watch things that don't have aliens or robots in it... I'm a woman. Sometimes I like pink things and want to watch a movie about relationships that don't take place in artificial gravity. Jeez. I love lasagna, David Bowie, Charlize Theron and Bing Crosby. So all things this post.